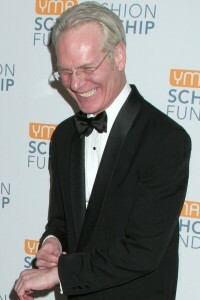 Tim Gunn has become one of the most recognizable faces in the fashion community thanks to Project Runway. Project Runway is in the midst of its eighth season with a few changes including 30 more minutes of the show. Gunn and his co-host Heidi Klum were the first to give reality TV a fashion shot in the arm which has since spawned dozens of imitators and a few all-out replicators. Heidi Klum and Tim Gunn make a potent team and their chemistry is at the heart of why millions tune in each week to see what outrageous and outrageously brilliant challenges the hosts put their contestants through. SheKnows: How excited were you about the additional half-hour being added to Project Runway? Tim Gunn: Based on seven seasons of experience, we have so much content that never ever reaches the air that it should not be an issue for the editors and the producers in general to fill that time. SheKnows: As someone who has so much info to impart, is it more freeing for you knowing you can elaborate with the knowledge that it has a better chance of making the show versus the cutting room floor? Tim Gunn: When I reflect upon season seven, we barely see the discussion between the judges and the designers. But, we barely hear anything out of the deliberation. You get a sound bite, when in fact the Q&A and the deliberation go on anywhere from four to six hours. So you think about it, if you just want to be a fly on the wall, it’s very easy to fill in that time. Frankly I’ll say, somewhat egotistically, I feel the same way about my critiques in the workroom. You would think that I check in with four designers, sometimes only three, when, in fact, I’m giving equal time to everybody. So there’s a lot of material that never reaches the air that now with our 90 minute format conceivably can. SheKnows: Has there been anything drastically different for you this season on Project Runway, besides the additional 30 minutes? Tim Gunn: I will tell you this, there’s an additional beat in the season and that is a one-on-one camera interview with me about things that are happening and frankly about the outcomes. I’m my more candid, honest, truth-telling self and that means I don’t know how much of that they’re actually going to put in the show. SheKnows: What were your initial reactions to the season eight contestants? Tim Gunn: It’s a very interesting group and in terms of the chemistry among them, one that I’ve never really experienced in a prior season. It’s for this reason, they’re very fragile. They’re fragile in terms of their emotional well-being. They’re fragile in terms of their ego. They’re fragile. So I always felt as though I was tiptoeing around glass that I didn’t want to break while still delivering what I’m responsible for delivering and what’s good for them, a truth-telling session in the workroom and an opportunity for them to look anew critically and analytically at their work. And I will also say I don’t know of a prior season when I have felt such profound fondness for everyone, even one designer with whom I have a serious antipathy at the beginning of the season. It dissipates, and we become pals later. It was very hard. We just wrapped this week, and it was very hard to say goodbye to them. SheKnows: Your advice, whether to private clients or the contestants on Project Runway, doesn’t always get taken. How do you deal with that ignorance? Up next, Tim Gunn tells us where the “Make it work” phrase came from and what to expect from this season of Project Runway.